Looking for a job in St Neots? Need to fill a job vacancy? Here at Shepherd Stubbs recruitment agency, our philosophy is “it’s all about the right people” ensuring we always deliver a high quality recruitment agency service. We hold a diverse range of both permanent and temporary vacancies, so for the best jobs in St Neots and the surrounding area, we are here to assist you. For clients, our diverse candidate database offers the best choice to fill your key job vacancies. 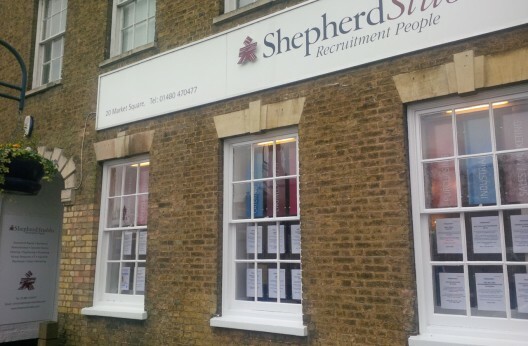 Our St Neots Office on the Market Square in the centre of the town is ideally located to access our recruitment service. For further information give us a call on 01480 4704477, or email stneots@shepherdstubbs.com and we will be happy to help.